Conventional wisdom suggests inflation is a hidden tax because it erodes your purchasing power. In this case, conventional wisdom is accurate. For instance, according to the official U.S. inflation calculator site, a $5,000 bond purchased at par 20 years ago in 1998 would cost more than $7,700 to buy today. Cost of goods, cost of wages as well as cost of money weigh on inflation. 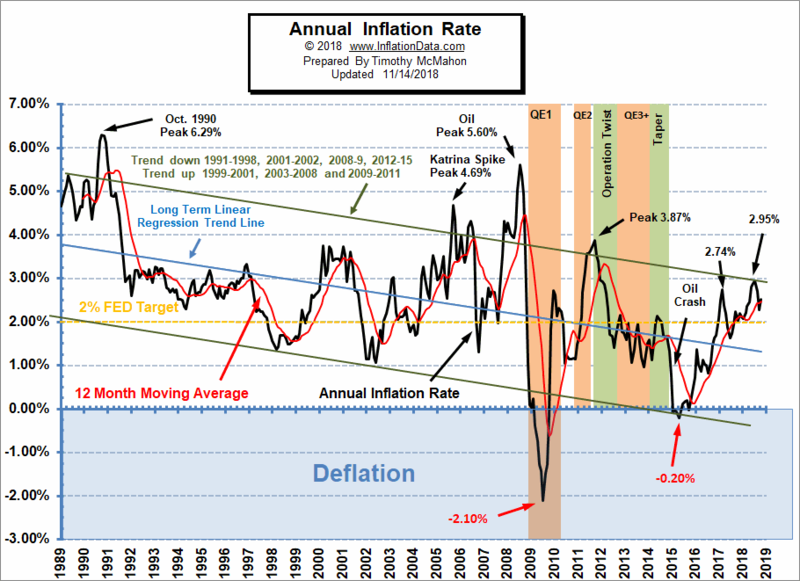 Why then is inflation considered so low that the yield curve which is the difference between a longer term bond and a 2 year bond and therefore flat when I know chicken and hamburger cost more. Going out to eat costs more. Luxury goods cost more. Health insurance costs more. Houses and when you can't buy a house or for seniors when you are done owning a house and want to rent or go to senior living, renting costs more. Go back 20 years and look at your property taxes, your home owner's fees, your car insurance. All are higher. My point is that for individuals, inflation is a cruel tax but it is foreseeable and manageable. The future is not as clear for income. When I state that I thought inflation would work in my favor, I speak as a person who remembers safe government insured money that paid 7%. Just when we retired for the first time, our long term planning hoped for at least 50% of our portfolio earning at least 7% safe income. Today safe government insured money pays barely 3%. If inflation could deliver 7% in U.S.guaranteed investments, that would be a gift. Successful seniors have everything paid for. They do not need a new house. They are probably thinking of how to monitize that asset to go to a senior living facility. If they need a new car, they have the cash. We may need a new hip, but we are not in the asset acquisition phase of our lives. Younger investors have the cash flow from working to buy things. In this case, younger people need to plan their purchases carefully to avoid the negative effects of inflation until they get to the point where their money needs to create income to replace their earnings. At this point in your life, it is good to have everything paid for already and ignore the inflation tax. Our investment need is to create income from savings, Today we need to invest in assets higher on the risk scale than U.S. guaranteed bonds. Real Estate and stocks are the few options we have. If, however, the Federal Reserve continued to increase interest rates on, we could get closer to an environment where we could get competitive yields on government secured investments. Investors who end up living off of the income from their investors will need to retire with income that grows because inflation will eat away at the earnings power of their income. Many but not all people end up with multiple sources of income during retirement. Social security, company pension plan, military pension, Uncle Henry's trust, or an inherited IRA. Yet nearly every successful retiree will need income from their savings. Where do you get that today? Certainly not from a safe U.S. Treasury or even a G.O. (general obligation) municipal bonds. Some investors chase yield and buy too risky an asset. If you pay $115 for a municipal bond so that you can get 6% yield, you are fooling yourself. In 20 years, as noted above, when that bond matures, you get back only $100 not $115 and in 20 years that $100 buys a lot less. Do not chase yield in the bond space. Not all stocks work during periods of low inflation. For instance, the way banks make money is to pay less to their depositors than they can lend out. 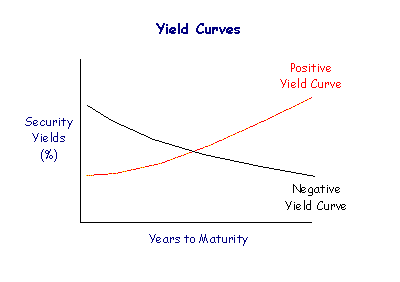 There is where the yield curve hurts these types of stocks. They just have so little margin for profit. When inflation is realized in higher lending rates that will help banks and hurt people who need to buy assets but it will help savers. Chart courtesy of Bigger Pockets. S&P is the S&P 500 index and HPI is home price index. Today the stocks an income investor needs must pay a dividend greater than the 2 year U.S. Treasury, they need to make more money than paid out in the dividend. 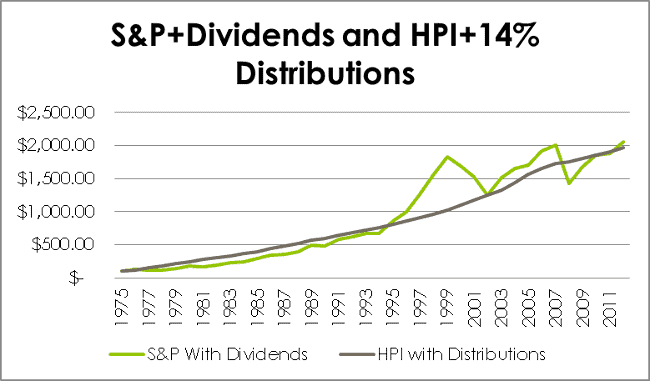 Two other factors are in play, the dividend should increase regularly and their balance sheet needs to be pristine. Avoid stocks that use a lot of debt to grow. You can find growth stocks with no debt. Garmin, symbol GRMN, is a good example. You can find a lot of stocks with very manageable debt. Intel and Apple have very little debt. Pay attention to stocks with a lot of debt especially those who recently borrowed at very low rates. It seemed like almost free money. But if they did not lock in those low rates over time and have to roll that debt in a few years, they could face much higher interest rates and that will affect the stock's profitability. I do not cover real estate in this blog but I do hold nearly 1/3 of our portfolio in income producing real estate. For ordinary investors REITs (real estate investment trusts) can provide an investment opportunity if you do not want to own real estate out right. 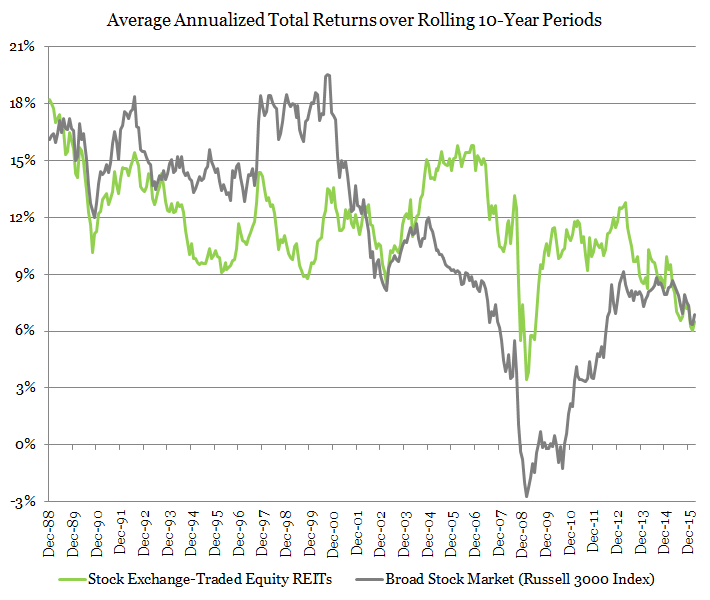 Chart from Nareit illustrates the return on REIT's versus stocks. Even here you can see the benefit of holding some real estate in your income portfolio. Until inflation can help us, we have no choice but to go up the risk scale for our investments. Lets us do it with great care.